LIQUEFY is a bio-based formula made using natural plant oils and extracts to create a product that offers all the cleaning power you need without resorting to the harsh, environmentally hazardous chemicals found in conventional tar and asphalt removers. 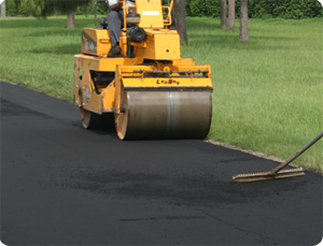 LIQUEFY can be diluted up to 3:1 with water to clean lighter accumulations of asphalt and tar. For heavier deposits, use product at full strength. Simply spray LIQUEFY on dirty areas of equipment to be cleaned. Allow product to sit as least 15 minutes to 1 hour (longer for larger and heavier deposits). Scrub with a brush, rag or sponge as needed. Rinse thoroughly.